Pay Per Click (PPC) advertising can help you been seen by prospects at the very moment they’re searching on Google. As a Google Partner, we help your business outperform your competition and achieve the largest possible advertising-attributed revenue source. PPC campaigns require preparation, analysis and ongoing management to maximise your return on investment (ROI). This process is time consuming and may appear daunting, especially for a busy B2B. 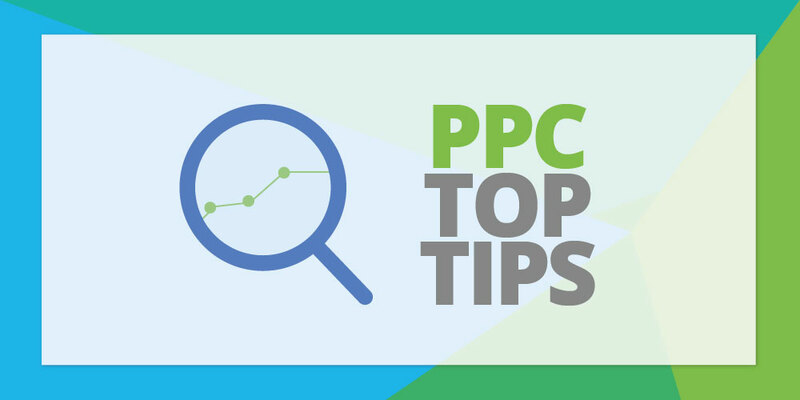 Before mobilising a PPC campaign, it is vital to consider the following top tips. The first step to mobilising a PPC campaign is outlining what you want to achieve. What are your business objectives? Do you want more prospects to visit your website? More brochure downloads? Employ more staff? Or to create more leads and sales opportunities? A PPC campaign will never be successful if that success cannot be measured against an objective. Key Performance Indicators (KPIs) need to be established and monitored to ensure the PPC campaigns stay on target and ensure the largest possible ROI. This may seem a basic principle, but a successful PPC campaign should be highly targeted based upon the prospects you’re trying to reach. Are your prospects individuals, consumers or businesses? How would they be searching for you? What level of expertise do they have about your products or services? Defining your target audience can help crafting the key messaging, tone of voice and structure of a PPC campaign. Without a clearly defined target audience, the potential for PPC success is minimal. Similarly, trying to reach “everyone” will lead to your PPC campaign reaching no one. PPC advertising is all about reaching the right people at the right time. To discover this you need to know what keywords your prospects are searching for. This is achieved by comprehensive keyword research, competitor analysis and, most importantly, input from your business. You should never underestimate how insightful first-hand knowledge and experience is to mobilising a successful PPC campaign. Ensuring a PPC campaign is configured based upon your business needs is vital, this could include geographic targeting, scheduling and advert extensions tailored to your requirements. Like any form of advertising, a PPC campaign needs to outline your key points of difference. Your PPC adverts will need to explain what makes your service or product different to your competition and convince prospects to click through to you. Simple propositions with a clear call-to-action driving the prospect into action often work best. If you have multiple key points of difference, separate ad groups should be created in order for A/B testing and let the data decide which performs best. Did you know there are best practices for a PPC advert headline, description text, and even the case used in advert extensions? Using the platform how it’s intended can lead to higher quality scores, lower costs per click and higher average positions. To ensure the best possible return on investment, it makes sense to align with the Google best practices. Ensuring your PPC campaign follows their recommended guidelines and that your website is optimised for those requirements can help outperform your competition and increase the number of highly qualified prospects visiting your website. AdWords has a range of ad extensions available to maximise the performance of your PPC campaign. From structured snippets to sitelinks, extensions offer additional information that could be of interest to prospects, plus increasing the size of your PPC adverts for more prominence. Whether you want to provide more information about your business with sitelinks to other pages of your website, or enable prospects to call straight from your PPC advert, ad extensions can make a good PPC campaign great. The success of a PPC campaign largely depends upon the landing page and website it is directing traffic to. PPC adverts could be aligned with Google best practices and outperform your competition but achieve nothing if the landing page isn’t user friendly, mobile optimised or doesn’t compel the prospect to take the next step. Ensuring your landing pages have clear calls-to-action, outline your key benefits and include a prominent submission form could help your PPC campaign shine and achieve your business objectives. A poor landing page could result in a prospect immediately leaving your website (bouncing), resulting in wasted media spend on that click. Mobilising and managing a PPC campaign effectively takes time and skills you may not have, especially for busy B2Bs who already have long to-do lists! Outsourcing your PPC campaigns to an expert could free up your internal resources and improve your return on investment. Unsure whether you’d be better off outsourcing your PPC?